It’s almost time! Mark your calendars/iPhones/Blackberries! 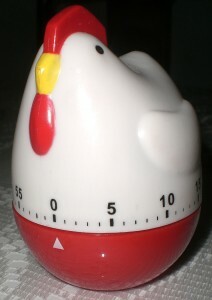 Roosters are always on time – and you will be, too! Red Bull Soapbox Vancouver 2008 is just a couple of clucks away! 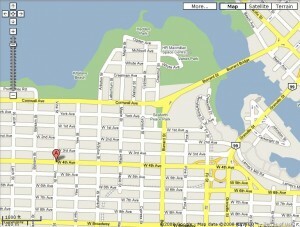 The races start at 1:00 pm, but the pit area will be open to the public at 11:00 am. Tags: red bull soapbox, red bull soapbox vancouver 2008, you're not sushi - you're chicken! This entry was posted on Monday, September 1st, 2008 at 11:28 pm and is filed under Red Bull Soapbox, The Event: Red Bull Soapbox Vancouver 2008. You can follow any responses to this entry through the RSS 2.0 feed. Both comments and pings are currently closed. 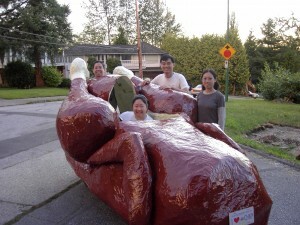 the soapbox…er… chicken looks great!